Here's a great week night meal that you can throw together pretty quickly without having to pay a whole lot of attention to it. 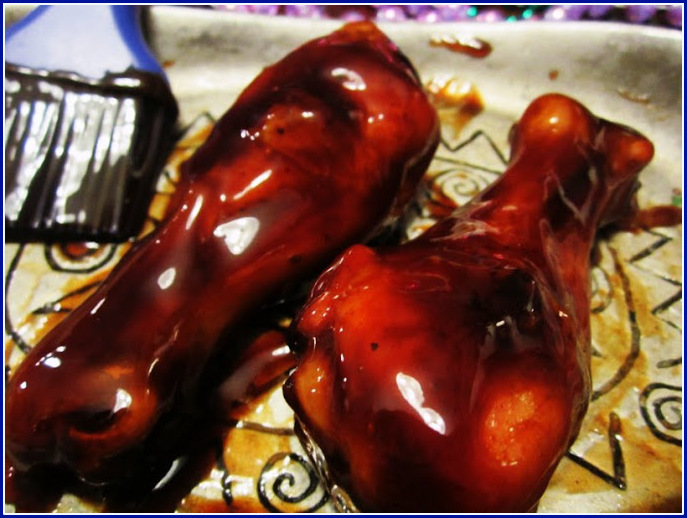 I noticed often in cookbooks that people made their own barbecue sauce, and it made me wonder why because barbecue sauce is so inexpensive, easy to find, quick and convenient. So I read the labels of just about every sauce on the shelf in the stores that I frequent. It paid off, because at a cookout at my brother's house recently, I could quickly scan the labels of the four sauces he offered, and I knew which sauces had high fructose corn syrup and which didn't. I was glad he had McClards, so I chose it for the delicious ribs he smoked! Otherwise, I usually buy Stubbs if I'm buying from the store. Of course, my husband ate his ribs with no sauce. Some people think that's the only way to eat ribs, and they'll tell you that. I don't care how others eat their ribs, so I don't go around telling people that dry is the only way to go. 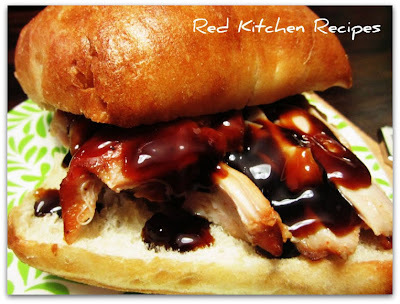 I was glad to find an easy sauce to make at home - like the professional cookbook writers. I usually give credit when I find a recipe, but this was jotted down on a note in my junk drawer. I finally found a time to make it, and I was glad I did. 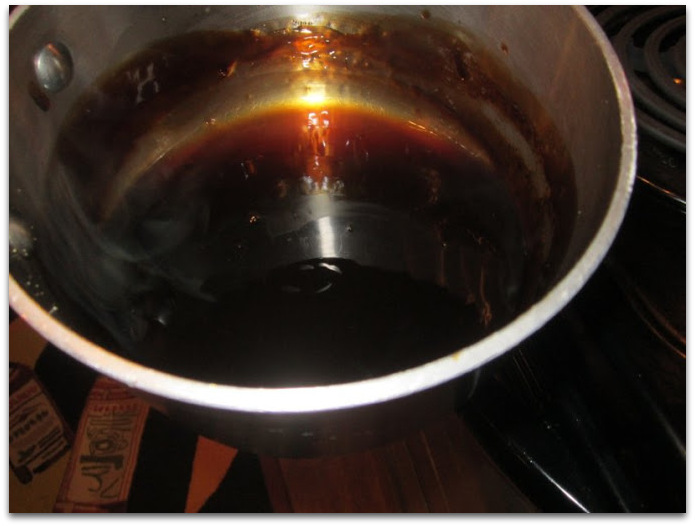 For the sauce, you just throw the ingredients into a small saucepan and let everything come up to a boil, a light stir, and reduce to low to reduce and thicken. For non - sandwich eaters, you can leave the meat on the bone and just spread the sauce on top. Gianna enjoyed hers on a lightly toasted ciabatta bun with the sauce drizzled on top. Marinate the chicken for a couple of hours or overnight in a large sealable bag. Preheat oven to 400 degrees. Bake chicken for 30 minutes. Reduce hear to 350 degrees. Bake chicken another 30 minutes. Combine last 5 ingredients in a small saucepan over medium high heat. Once it comes up to a light boil or simmer, stir to combine. Reduce heat to low for about 10 minutes, then spread on top of the chicken when ready. For sandwiches, toast your ciabatta bun in the oven at 400 degrees about 8 minutes. Shred the chicken, then spread the sauce on top.